← Who’s responsible for online privacy? Julian Assange – A real life “Enemy of the State”? After having watched the clip of “Enemy of the State” in class last week, I took a break over the weekend to watch the whole film. It was as enjoyable as I remembered, if a little more scary this time given last week’s discussions about online security (or the lack thereof). I saw an interesting parallel between Will Smith’s character and Julian Assange in terms of how they were portrayed as pariah’s by the media. 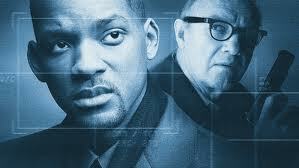 Assange’s comments about journalists needing to be or have frequent access to an electronic surveillance expert in order to protect their sources reflected how necessary Gene Hackman’s character was to Will Smith’s continued existence. Nevertheless, Assange comes across as a lot less black and white in terms of the good guy – bad guy spectrum. His reflections on how the U.S. Government is trying to reinterpret the Espionage Act were disturbing, but they were undermined by the fact that Assange does tend to come across as arrogant and self-oriented in media coverage, including the Rolling Stone interview. Both Assange and the film insist that people need to be active in protecting their civil liberties. Assange argued that “You can either be informed and your own rulers, or you can be ignorant and have someone else who is not ignorant, rule over you,” which is something similar to what Chris Parsons told us last week. In our other reading, Kidd reflects on the need for audiences to be more engaged with and less passive about the news they receive. She notes “most people still do not have the time to produce their own stories, nor to read Indymedia with the critical eye and self-motivated searching that the site demands.” Articles on Assange are interesting to read, because one is never sure exactly how much salt to read them with. It was an interesting experience to read the Assange interview immediately after having watched the film; it added a new dynamic to both. Byron Sonne’s story provides a similar parallel. Oh, nice tie in, Tana. I really want to watch the rest of the movie now! It’s worth watching, although given what we’ve covered in class, the ending is a little unsatisfying. Twitter – Distraction or Augmentation? Who’s responsible for online privacy?